How do you like your eggs? I like mine scramble for breakfast , well it's not that I make breakfast every day ;) that's why I like McDonald's Big Breakfast only for the scramble eggs and whenever I get a chance I go McD for their big breakfast. 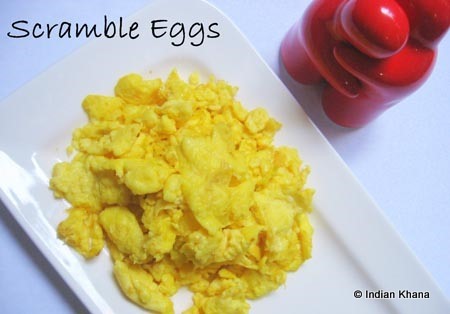 Scramble egg one of easy and quick thing to make that you might wonder why am posting ...but long back when I fall in love with McD scramble eggs I didn't knew how to prepare that ! And I thought perhaps there will be few blessed souls like me and wondering how to make scramble egg so here comes the recipe. 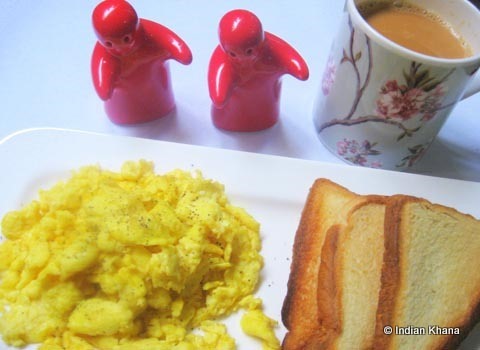 We can do lot of variation with scrambled egg and here am posting the most basic one. 1. Break and whisk eggs in a bowl until little fluffy or egg white and yolk blends well. ~ If using milk add the milk and whisk the mixture. 2. In a pan heat butter/oil and add beaten egg, cook on medium heat 2 minutes or until they starts to set. ~ Add salt now or you can add later, I added salt so it's combine well. 4. Cook until the consistency you want, or for a minute or 2 is enough. Season with pepper and salt (if salt is not added before) and server hot/warm with toast and tea/coffee. 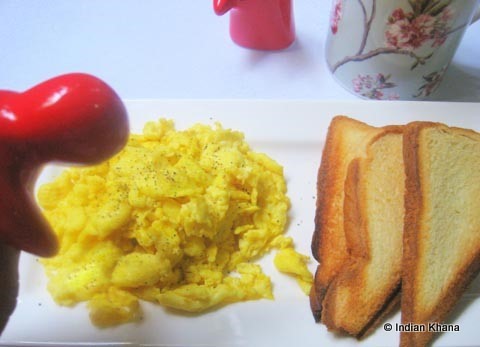 A simple breakfast ready in less than 10 minutes ..isn't it wonderful? Now this is a good way to start your weekend! I like my eggs scrambled too! Sometimes the simple recipes are the ones that taste the best. Comfort breakfast that plater looks so inviting.. Damn tempting and droolworthy breakfast, love it anytime;. luv this anytime..bt i lov to add some chopped onionsalong! Simple and yummy! Lovely click too..
What a wonderful breakfast! You've perfected it. Love how they look. I just had eggs and you put me in the mood!